Alexander’s correspondence with Elizabeth includes what biographer Ron Chernow calls “the most candid letters of his life.” They all contain the flowery sentiments we expect to read in love letters (“I would this moment give the world to be near you only to kiss your sweet hand”), but he also confided in her on military matters that would prove to be of historical importance, such as the treasonous actions of Benedict Arnold. And the letters more recently inspired Lin-Manuel Miranda’s lyrics for his smash-hit musical. 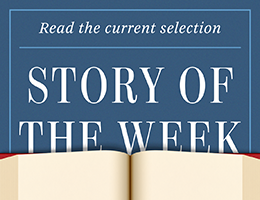 “Will you relish being a poor man’s wife / Unable to provide for your life?”—a line from the song “That Would Be Enough”—is lifted almost verbatim from one of Hamilton’s more famous letters to Elizabeth, and we present that letter as our Story of the Week selection.